A fraudster who used EcoCash to defraud people has been sentenced to 6 years in jail by a Guruve magistrate. Takemore Jamu, the fraudster used perhaps one of the most simple ways to swindle a certain retail outlet groceries worth $12 000. Apparently, this guy presented himself as a buyer and a wholesaler to the retailer, Macshame Matika. So in his capacity as a false buyer, he went to Macshame Matika to buy groceries using EcoCash. 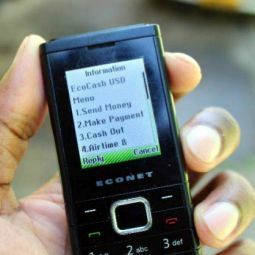 Now when making payments with EcoCash: the sender and receiver both receive confirmation messages, that tells them that transaction was successful. So what the fraudster did was; he lied to the retailer that he had paid for the groceries using EcoCash and that the retailer’s confirmation message had been delayed but at the same, he (the fraudster) had received his confirmation message. The fraudster would then show the retailer his ‘edited-confirmation message’. He did this for 23 times, conning the retailer $12 000 worth of groceries. Newsday’s report didn’t really point out how the scam really played out so frankly, I’m not completely sure how the retailer was fooled. Even so, I’m wondering how could the retailer believe that his confirmation messages are always getting delayed for 23 times. The fraudster tried to do the same trick the 24th time, but the retailer perhaps had an epiphany and he scrutinised the fraudster’s confirmation message, only to see that it was fake. That’s when the retailer contacted the police to apprehend the fraudster and recover the groceries. The post Fraudster Used EcoCash To Defraud A Retailer $12000 appeared first on Techzim.